Indulge your vintage side and bring together all those little gems collected over the years: the beaded Italian bag, the fabulous 1950s wedding gown, the Edwardian pearl necklace and the long, elegant gloves. Antique, second-hand and re-used items are great for the environment. They are effectively carbon neutral as they have already been used, and you may well be saving them from being thrown away. Charity shops are a fantastic source of unexpected finds – buying from them will benefit both the good cause and your wallet. 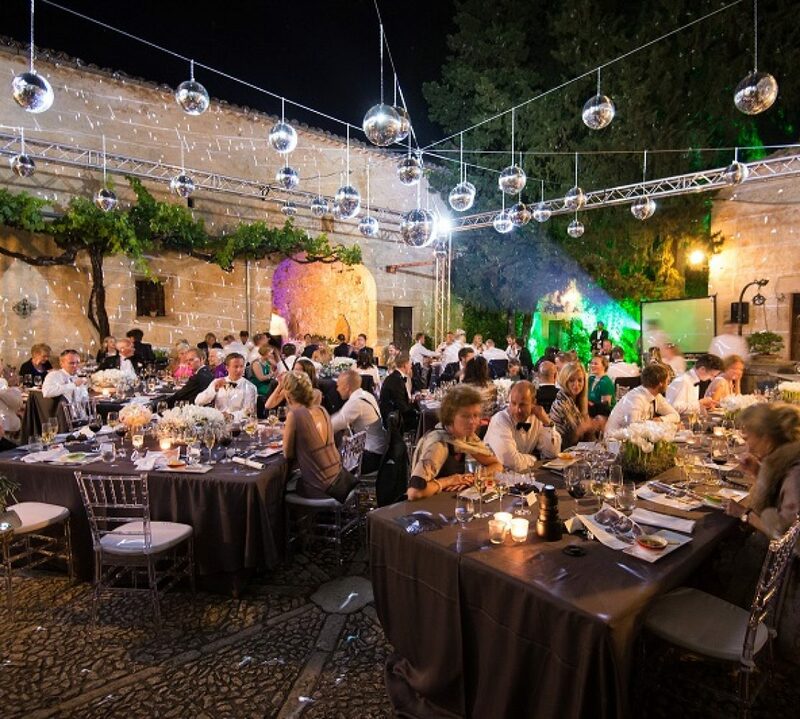 Relatives may also have heirloom jewellery, ceramics or linen to pass down to you. Don’t be afraid to use items that do not match – it can create a delightfully eclectic look. 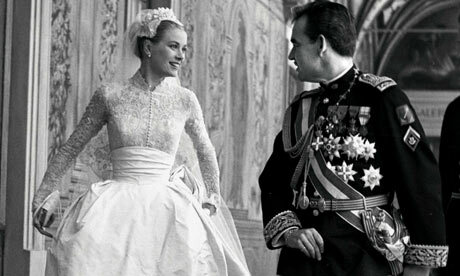 A fairy-tale wedding in Monaco in 1956, in front of the world’s press and the adoring public. She wore a full-skirted gown, crafted from ivory silk taffeta and lace. 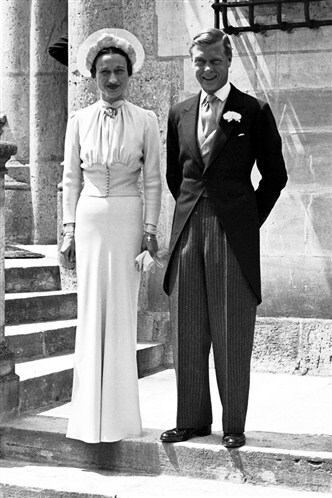 They married in 1937 in France, shortly after he renounced the British throne. She wore an elegant, cream, long-sleeved skirt suit, complete with neat, covered-button detailing and stylish hat, and carried a small matching bag. 1960s fashion at its best. 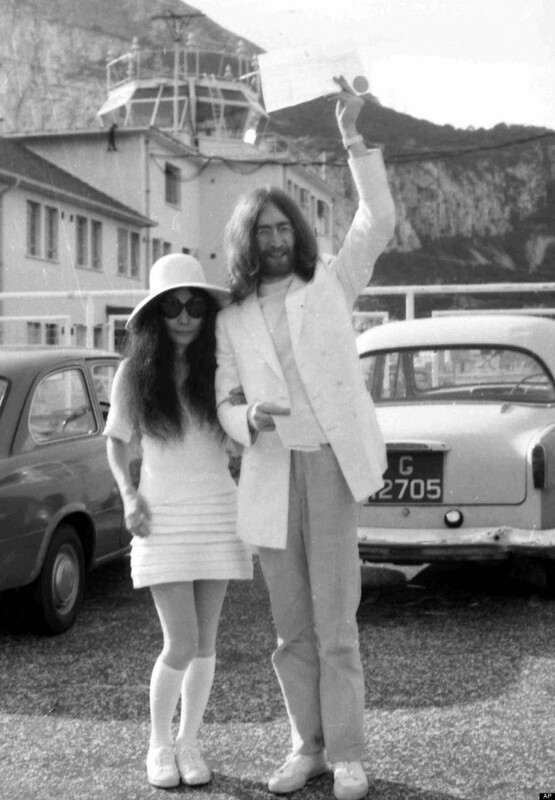 They married in Gibraltar in 1969; Yoko wore a white crêpe mini dress, white knee-socks and a wide-brimmed hat. Retro 1960s coloured glass vases.